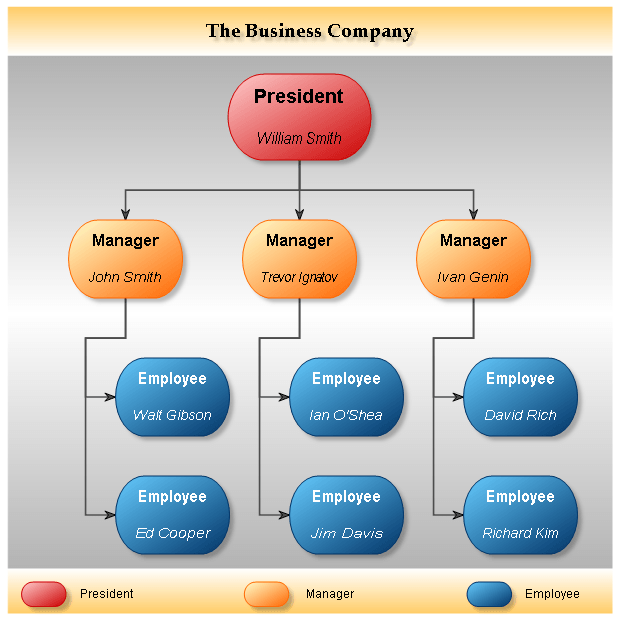 Organizational chart (often called organization chart or org chart) is a diagram that shows the structure of an organization and the relationships and relative ranks of its parts and positions/jobs, or similar types of diagrams. Nevron Diagram can generate different types org charts, trees and graphs. There are several types of built-in automatic tree and graph layouts, which simplify the management of complex diagram structures. Nevron Diagram can generate different types org charts, trees and graphs. There are several types of built-in automatic tree and graph layouts, which simplify the management of complex diagram structures. The diagram component supports a wide range of commonly used shapes as well as a variety of expand/collapse decorators, link styles, text styles and visual effects.